A new training program delivered by Charles Darwin University will provide more qualified and experienced Health and Safety Inspectors in the Territory. For the past 11 months, 13 Northern Territory Government Workplace Safety Regulators have been studying towards a Diploma of Government (Workplace Inspection). On August 15 they completed their final course requirements and their last training block. The course program was specifically tailored to meet the needs of workplace inspectors and field officers. 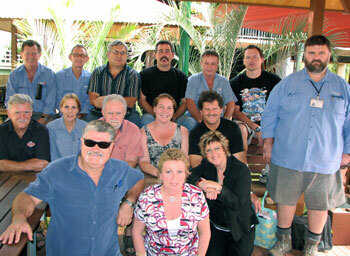 This is the first group in the Territory to complete their training, putting the NT in line with national standards. The Diploma was designed in partnership with the NT Government, NT WorkSafe and WorkSafe Victoria, as part of a national initiative to implement a qualification in Occupational Health and Safety inspectorates throughout Australia.